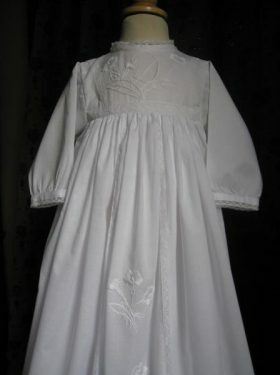 Our Couture Christening Gowns for boys are special. They are designed to make your baptism day become special. 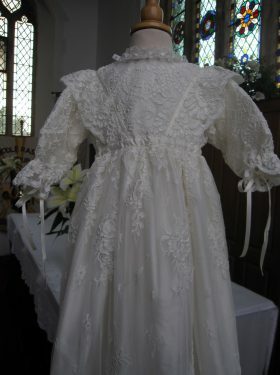 All our couture baptism gowns are created from the finest silks and laces that have been sourced from around the world. 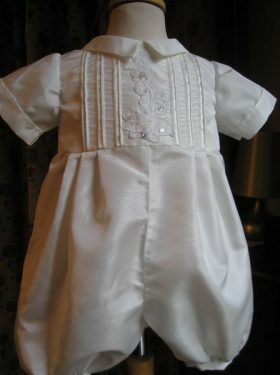 We are able to then create beautiful christening outfits that will become treasured heirlooms for years to come. 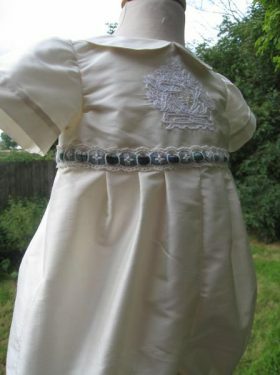 Created in-house by designer Linda Patrick, each christening gown is lovingly made for you and your little boy. A new addition to our collection is The Antonio Romper� with its front fastening detail. 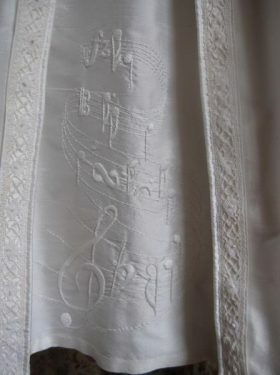 It has been created using the finest French Chantilly lace and is ideal for Catholic and Orthodox Baptisms. However, we can create this in the standard way with back fastening only. 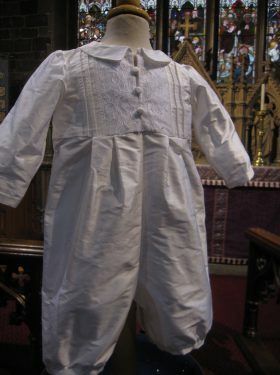 The Boys Christening Ensemble is a wonderful outfit comprising romper, jacket, cap, booties and bib. 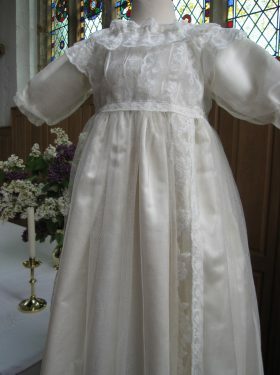 It oozes elegance and is a timeless design that is perfect for your baptism day. We have featured it using the Hayden Romper but please note that we can create any ensemble with any design of romper featured. Simply contact us for more details and price.